NASA and Sony have been collaborating on a project that’s using virtual reality to control the robots it sends into space, according to RoadToVR. The pair have come up with a PlayStation VR demo called ‘Mighty Morphenaut’ to show how Sony’s software could work in the training of operators and robots and how it could be used to perform tasks remotely from earth. 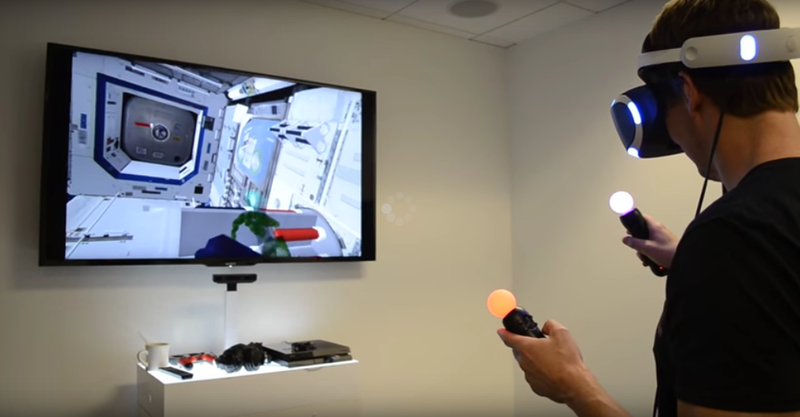 The demo shows a simulation of a space station and an operator using the VR headset and controllers to pick up and move tools via the robotic arms in the station. The demo replicates some complications that might come into play in real life, such as restricted motion or small time delays between Earth and the space station. These would be crucial to solve before having anything like this work in the actual International Space Station (ISS). Sony’s software guides users to compensate for the time delay by way of a shadow on screen. The green shadow shows the time delay between the operator and the robot’s hand. While it’s still early days, it will be interesting to see how this collaboration grows and if someday in the near future, we might have a humanoid robot taking the place of an astronaut or two in the ISS.